DUAL 503 - The 2-place Beaver flies very well with the dual carb, 50-hp Rotax 503 model. Climb rate hits 800 fpm. WELL-BRACED - Aluminum tube triangulation gives the Beaver great strength and resilience. The steel gear of the older RX-650 didn't prove as durable. BODY POSTURE - Many pilots will feel very comfortable with their left hand on the throttle (brake lever just in front), and the joystick in the right hand. DOWN UNDER - Under the hood of the Beaver are a full set of instruments and electric start battery to the right. A foot rest panel precedes comfortable rudder pedals. OLDER BEAVER - Though this brand-new version works well, the design is a vintage creation dating to the early '80s. BIG RED - ASAP's Plus version of the Beaver is a lot like the Chinook in that it has lots of interior room. Big pilots take note. OPEN AIR - Flying in warmer climates is great in this open-sided ultralight, but pilots in colder regions will look forward to an in-the-works full enclosure. BLENDED LOOKS - The Beaver uses the Chinook's outboard fuel tanks, leaving the cabin roomier and free of fumes. SIMPLE TAIL - While the older Beaver RX-650 had more complex features, the new RX-550 Plus model retains the simplicity that has helped it amass a good safety record. Note bungie-loaded tailwheel. DUAL CONTROLS - The Beaver has full dual controls in the rear seat, which is more comfortable and less cramped than many other tandems. Perhaps the most famous ultralight to come out of Canada is the Beaver. With a reported 2,200 units flying since the early 1980s, this is one of the most successful light aircraft ever. However, due to missteps by companies that previously manufactured the brand, this popular ultralight was nearly lost from the ultralight aviation landscape. Were it not for the Aircraft Sales and Parts (ASAP) company and the Holomis family, you might not have this choice today. Originally the Beaver RX-550 came from a company called Spectrum Aircraft. A company reorganization left the ultralight in the hands of a company named Beaver RX Enterprises. Both these business names disappeared and today the ASAP brand carries the Beaver into the sky. 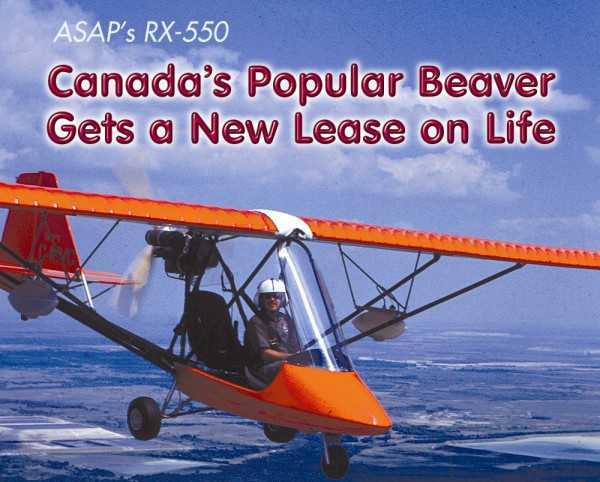 In 1993, a couple years after our last report on the Beaver1, the old company closed its doors and effectively stranded thousands of Beaver ultralight owners and all the dealerships that sold them. "Because the Chinook Plus 2, another aircraft we manufacture, is similar in construction to the Beaver, we were approached by some Beaver dealers and customers to see if we could somehow provide them with parts for their existing ultralights," explains ASAP boss Brent Holomis. As the company had done with the Chinook earlier, ASAP came to the rescue of the venerable Beaver, to the great delight of previous owners and to those who might one day purchase this successful design. ASAP started business in 1988 with their involvement in the Chinook ultralight. The company did more than just take over these disappearing ultralights. Thanks to commendable intent and significant machine shop capabilities, ASAP made improvements on the planes. Today both the Chinook and Beaver models have the suffix Plus added to them, to denote the additional work done by ASAP. Indeed, the company's array of computer-controlled machining equipment allows them to build parts in house when many other manufacturers must go outside their manufacturing facilities to obtain the same quality hardware. "The RX-550 also used many different size tubes, sizes that were not commonly used for our Chinook Plus 2, so a lot of new inventory had to be purchased. It took many months of hard work and money, but we were finally able to manufacture parts for this ultralight," says Holomis. As time passed, ASAP realized there was still great demand for the RX-550. As they had done with the Chinook earlier, ASAP created new wings and tail, and the Beaver RX-550 Plus was born. For those with older Beavers, the company also makes conversion kits to upgrade the older models to the present state of refinement. The computer industry calls this "backward compatibility" but whatever the fancy title, former customers appreciate the support. Today's ASAP operates out of two locations. Their base location - St. Paul in Alberta, Canada - is where ASAP manufactures all the parts and components for both old and new Chinooks and Beavers. Their location in Vernon, British Columbia is where the company handles all inquiries about their ultralights and where they process parts orders. Technical support and the in-house testing of new products are also handled at the Vernon location. The company says, "At all times, we keep a huge supply of parts in inventory so it's seldom we have to back order or ship incomplete kits." ASAP says that if they do run out of parts, they will ship all such items freight prepaid to your door. While consumers are used to such handling by large companies, it isn't always the case in ultralight aviation. Basic Description Unlike the RX-650 model once produced by the now-defunct Beaver RX Enterprises, the RX-550 sticks with an all-aluminum airframe. And while the RX-650 used a straight leading edge, the RX-550 maintained a slight sweep to leading edges. The major change created by ASAP was to finish the wing in Ceconite® - conventional dope and fabric. However, as ASAP had done with the Chinook earlier, the company has also made many small improvements on the RX-550. In an interesting twist, Holomis says the swept wings of the older 550 design don't easily allow for flap systems. However, the RX-650's straight leading edges could accommodate them. He indicated they may revisit flaps for the RX-550 Plus, but they are not currently on the options list. Compared to all tandem ultralights on the market today, the RX-550 is a fairly conventional shape. While some buyers yearn for the latest and greatest models, convention has a way of appealing to many other buyers and the RX-550 may fit the bill. More than 2,000 previous buyers prove the design has plenty of admirers. Since the company estimates 150-180 hours are necessary to build the RX-550, it may be somewhat more work than a few other kits, but this effort still qualifies as an assembly kit rather than a construction kit which may require in excess of 300-500 hours. You don't need to do any fabrication, and parts accuracy is good, thanks to the computer-controlled machining ASAP can deliver. 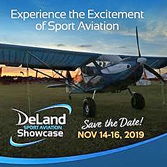 One area where ASAP differs from many other all-ultralight airframe builders is, they offer a wide selection of engines. 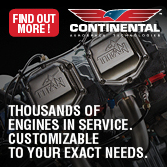 Not only can you choose from 65-hp Rotax 582 2-cycle or 80-hp Rotax 912 4-cycle engines, ASAP has worked closely with HPower in fitting the HKS 700E 4-stroke engine. For those who want something entirely different, ASAP also offers the Zanzottera engine from Italy (more on this engine later). Since the task of fitting an engine properly to an airframe can be significant, it's no surprise other airframe builders stick with one or two engine choices. Not so with ASAP. In our previous report on the Chinook2, the company showed great capability with one of the finest installations of the 4-stroke HKS engine that I've had the opportunity to inspect and experience. Given the success of that effort, it seems reasonable to conclude they know what they're doing and pilots (whose deep interest in powerplants always amazes me), may appreciate the alternative engine choices. Due to weight and balance of the Beaver, heavier engines - like the increasing use of the Rotax 912 - are viable choices, considering ASAP's experience, indicates Holomis. Some fittings have been done with the Geo Metro Subaru engine, he says, but he cannot verify that these Beavers stay within center of gravity (CG) requirements. Manufacturers often express anxiety over changes made by consumers that do not have input from, much less the blessing of, factory engineers. The control system of the RX-550 is also quite conventional, using pushrods to control ailerons, and cables to effect rudder movements. The RX-550 Plus uses full-span ailerons, which Holomis says improves the handling significantly over the original version. The Beaver RX-550 Plus does not have flaps, flaperons, or other glide path control devices. However, in a conversation last February the factory indicated they may add these devices in the future. Neither does the RX-550 have trim, and no plans were mentioned with regard to this mechanism. Regular demands for a full enclosure for the Beaver RX-550 Plus, such as is available on the Chinook Plus, has prompted ASAP to announce they would build a Lexan enclosure modeled after the Chinook's enclosure. It is a virtual greenhouse surrounding you with many square feet of clear plastic. According to Holomis, "We really haven't pushed the RX-550 as we don't have a full enclosure, and one is needed for flying in Canada." He added that his customers had been favoring the Chinook for precisely this reason. After ASAP took over the RX-550 production, they went through some significant redesign work. Holomis reported that seven or eight years ago, before his company owned the design, at least one Beaver experienced a wing failure due to a slipped nicopress on some cable bracing inside the wing. When ASAP took over the design, they increased sleeving in the leading edge and replaced cable bracing with tubing. Subsequent to these changes, they subjected the design to full static loading plus independent analysis offered by a local university. However, in defense of the original design, Holomis is also quick to report that one particular Beaver has accumulated more than 2,000 hours in South Africa without the more recent wing modifications. The other significant change that ASAP gave to the RX-550 wings was to substitute Ceconite for sewn Dacron wing coverings. With this came a change in rib spacing from 18 or 20 inches to 6 inches apart. Clearly such a construction is longer lasting, holds an airfoil shape better, and may add a small amount of performance potential. Contrarily, such a wing covering choice takes more effort and adds weight. 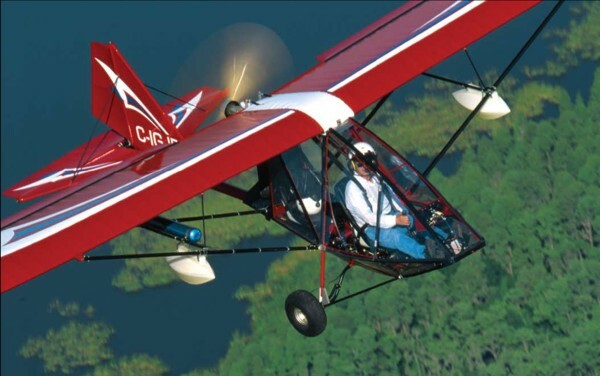 Aerial Beaver As with many of ultralight aviation's top designs, the RX-550 Plus proves to be a well-rounded design that does many things very well but does not have singular outstanding qualities. According to Holomis, "The RX-550 is often used as a trainer because it's so easy to fly." Another factor in this application no doubt relates to the Beaver's tri-gear configuration. Although the Chinook Plus is currently selling well, it is a taildragger and some pilots are simply not comfortable with this setup. Many pilots prefer fast-handling ultralights, and the RX-550 probably won"t fill that need. At approximately four seconds 45ø-to-45ø, the RX-550 almost sounds sluggish. Yet a 4-second roll rate proves to be sufficiently adequate for most crosswind conditions. And I was able to do Dutch rolls to about 30ø almost immediately. The RX-550 has plenty of control authority for virtually all normal-category uses. Those looking for crisper response and even greater performance may be pleased to hear that a single-seat version of the Beaver is well underway. Holomis says he hopes to bring the new, still-unnamed model to Sun 'n Fun this year. "The original Spectrum Aircraft company (predecessor of the publicly-owned Beaver RX Enterprises) called their single-place model the RX-28 or RX-35 because they used the Rotax 277 engine, or something comparable," says Holomis. Instead Holomis will use a European engine called the Zanzottera MZ-45. He says this 45-hp, 2-cylinder 2-cycle engine is as light as the Rotax 277, which certainly sounds like remarkable design efficiency. Given that the Beaver uses an inverted engine - with dynofocal engine mass mount - the thrust line is lower than on the older Beaver 650 or many other high-wing pusher ultralights. In my evaluations of dynamic longitudinal stability, I found that the nose is pushed down with applications of power, as expected. However, the force is muted by the lower engine location, compared to many ultralights which use an upright-mounted engine at the top and rear of the wing. Since our test ultralight was fitted with a 3-blade prop and "C" gearbox, it ran quite smoothly, transmitting little vibration back into the airframe. A series of stalls showed the Beaver breaks in all stalls except those with liberal power on, but the nose tended to fall straight through and all recoveries were fast and predictable. Contrarily, in steep-turn accelerated stalls, the wing regularly would fall opposite the side of turn. However, given a steep turn, this outcome is desired by most pilots. Overall, I could find little to complain about in the stability department of the Beaver RX- 500 Plus, though I always prefer a parachute installation and our test ultralight had none. Approaching to land reminded me how enjoyable this ultralight is in this important phase of flight. The Beaver can approach down to the mid-40s, but I tended to hold the ultralight standard of 50 mph ("Fifty is Nifty" is a familiar line in our favorite class of aircraft). Since the high-lift wings retain energy quite well in ground effect, the long flare window gave me smooth touchdowns on every landing for which I had notes. Any pilot on approach appreciates one attribute: visibility is massive from the front seat and better than average in the also-roomy rear seat. Flying in Florida's steamy heat made me pleased to be flying an open-sided ultralight, though in my home state of Minnesota a pilot would get chilly during the colder months. The expected enclosure could extend the flying season, but will separate you from the elements. In the Sunshine State, I loved the movement of air through the open cabin, although the curved windscreen kept most of the breeze off my knees. The aft seat is considerably windier. Leave Your Flying to Beaver? ASAP is not simply a case of a company taking over a design from a troubled company. Rather, it's a situation where new, thorough examination of the design and subsequent refinement took place. Call ASAP and they can tell you more about some of the many changes they made to the Beaver. Despite these "fixes" - probably better called updates or upgrades - ASAP was smart enough to mostly leave well enough alone. The Beaver has enjoyed an illustrious history that proudly owns an excellent reputation for safe operations and good longevity. Ask ultralight or microlight pilots around the world, and many will be familiar with the Canadian design. Except for the more recent popularity of Murphy Aircraft Manufacturing's Rebel, it seems inescapable that the Beaver (and secondarily the Chinook) are the most recognizable ultralights to come from America's neighbor to the north. Now they both come from ASAP. Nearly a decade ago, when the old Beaver RX Enterprises was selling their then-new 650 model, the ultralight was priced at about $12,000 (U.S.) with the Rotax 503 engine. Today, a full nine years after our last pilot report on this model, the Beaver RX-500 Plus retails for $8,750 (U.S.) without engine. Since you can add a new 50-hp 503 with "C" drive and a prop for about $4,000, the price is only slightly higher than it was at the start of the 1990s. Given the normal change in the buying power of your money during that time, the price effectively fell, since $12,000 today was worth about $9,000 then (looking at it the other way around, $12,000 then would be about $15,000 today). Perhaps the difference is, the old Beaver RX Enterprises was a publicly-held company with lots of staff, lots of inventory, general costs of being public, and a lack of focus (they were even diverting into home heating systems). Contrarily, ASAP is privately-owned, focused, and surely more sparing in their spending ways. For you, the benefit is a reasonably priced 2-seater. That's what I call progress. Not only did the ASAP company rescue Canada's most popular ultralight design, but also they "lowered" the price. Maybe you should consider doing business with ASAP. Notes: 1 See: UF! 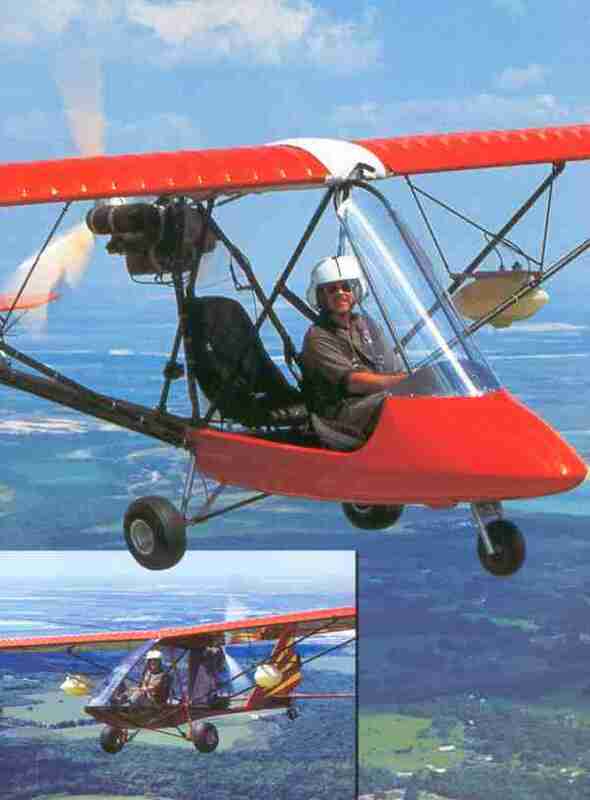 Flight Report - "Flying The New RX-650," December '91 Ultralight Flying! magazine. 2 See: UF! 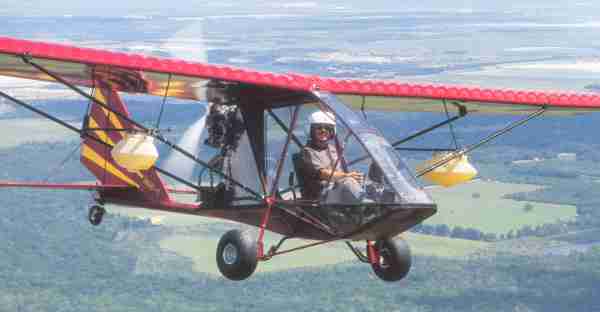 Flight Report - "ASAP's Chinook Plus 2," June '98 Ultralight Flying! magazine. Standard Features Full dual controls, roomy tandem 2-seat ultralight (that can easily qualify as a Part 103 exemption trainer), instrument panel, dual fuel tanks (on struts), battery box, 4-point seat belt restraints, seat covers, engine mounts for several engines, bolt-together kit with all parts precut and predrilled, Ceconite® with fabric cut. Options 66-hp, 2-cycle Rotax 582, 80-hp Rotax 912 (with factory accommodation to assure good weight and balance), Italian Zanzottera engine choices, 60-hp, 4-cycle HKS 700E engine, Hirth engines, standard or heavy-duty reduction drive, electric start, silence kit, brakes, floats, skis, instruments, 2- or 3-blade wood props, ballistic parachute, fully-assembled option. Construction Aluminum tubing, Ceconite® fabric covering. Made in Canada. Pros - The Beaver RX-550 Plus is a well-proven ultralight with a reported 2,200 units in the field. Roomy cockpit for larger pilots, especially those with bulky, winter clothing on. Taken over by ASAP, the new RX-550 Plus now has a dope-and-fabric wing. Main structure is familiar aluminum tubing. Sleek pod and nicely-finished wings add to a smooth appearance. Cons - Beaver RX-550 is an older design; won't appeal to all pilots. Build time estimated at 150-180 hours; about a medium effort. No full enclosure currently offered to further protect pilots in cold climates (though factory said one is being designed). Engine is mounted inverted, which some pilots dislike. Pros - Brake handle conveniently located just forward of the throttle in an intuitive position. Primer control is conveniently located on instrument panel flange. Repair access is excellent; engine is within easy reach. Refueling at strut-mounted tanks eliminates all fuel odors from entering cabin. Cons - No flaps to aid approach path control. Strut-mounted fuel tanks, though perhaps safer, are seen as odd by some pilots. For electric starting, battery will have to be placed forward to preserve weight and balance. No in-flight trim is provided. Pros - Seating in both positions is spacious. Easy entry to both front and rear seats; not common for rear seat of tandem design. Panel has adequate room for ultralight-style instrumentation. Throttle and joystick within a comfortable reach. Rudder pedals for rear seat occupants are surprisingly roomy. Nosewheel steering was quite responsive. Cons - No overhead skylight is possible (as on the older RX-650). Rear seat occupant is located very close to engine noise. Panel space is limited for radios or GPS instruments. Building a full enclosure will be challenging. Kill switch on panel may be challenging to reach if belts are securely fastened. Aft seat occupant cannot see instrument panel. Pros - Aluminum gear legs prove to be stronger than the steel gear on the older Beaver RX-650. From front seat, upward visibility is good, allowing careful traffic checks. Fairly tight turn radius is possible with nosewheel steering. Cons - Brakes are nondifferential. No easy seat adjustment or rudder pedal placement adjustment. Light loading on nosewheel reduces steering effectiveness and some conditions. Suspension appears limited to air in the tires. Pros - Despite the lack of side vertical area, the Beaver RX-550 Plus sideslips well. Excellent visibility from front seat, and acceptable visibility from rear seat. Good rudder response yields generally good control harmony. Broad flare window is tolerant of newer pilots and appreciated by old-timers who want to look good when landing. Cons - Deep side slips can run out of control range; could pose a problem in stronger crosswind conditions. Approach speeds aren't as low as you might expect. Takeoff roll longer than expected for a high-lift airfoil. No flaps or flaperons available to help control approach path (though factory indicates they may work on this at a later time). Pros - Pushrod linkage on the Beaver RX-550 Plus is light and responsive. Dutch rolls went well to modest, angles showing good authority but not a fast roll rate. Adequate control authority for operation in most crosswind conditions. Pitch range in steep turns was adequate, even when no additional power was added. Despite smaller tail, control harmony was acceptable. Rudder remains effective to slow speeds. Cons - Roll rate, at about four seconds 45°-45°, won't satisfy those looking for a snappy response. No flaps to help slow speed flight. Adverse yaw is fairly significant, common in a full-span aileron ultralight. Rudder power is lacking in deep slips or in the stiffest crosswinds. Pitch got heavier in steep turns. No trim offered. Pros - High-lift wing with frequent upper wing rib spacing delivers good slow speed performance. Descent rate measured at about 400 fpm, a good number for a 2-place ultralight. 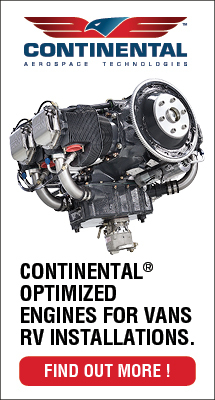 Several choices of engines allow differing performance parameters. Rate of climb even with 50-hp Rotax 503 is 900 fpm. Beaver can carry 1.5 times its own weight. Cruise speed with Rotax 503 is 50-75 mph. 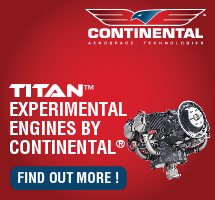 Cons - Performance said to improve with 65-hp Rotax 582, though extra complexity comes with this choice. Required over 5,000 rpm to sustain altitude - a common ultralight number but some designs are measurably lower (reducing noise and vibration, and therefore, fatigue). Pros - Stall speeds are down into high 30s. Stall characteristics are predictable; nose always fell straight in my experience. Four-point seatbelt restraint available for both occupants. Longitudinal stability proves adequate during pull- and push-and-release test. Lower thrust line than other designs in its class; improves pitch response. Despite its smaller size, the rudder was effective all the way down to stall. Cons - Accelerated stalls tended to fall rather vigorously to the outside wing. Though engine is below top surface of wing at trailing edge point, still produces nose down on power-up. Tail surface area could be larger to yield better harmony. No trim to reduce pilot fatigue. Pros - Able to qualify under training exemption to FAR Part 103. ASAP, a family-owned business, has been in existence since 1988. Very well-equipped shop with CNC machining hardware. ASAP made changes to the wings and tail of the older RX-550 Beaver. Company keeps a large number of replacement parts on hand at all times. Beaver has +4 -2 G design load rating; tested past 6 Gs without deformation. Overall, a very pleasant machine to fly. Cons - Built in Canada, shipping to parts of U.S. may be costly. Less dealer support than some more established U.S. ultralight brands. Age of design will turn off some buyers. Interior of RX-550 Plus is not as polished as older RX-650. Wings detach but process is time-consuming; no folding wing option is available. Some buyers may prefer to wait for the new single-seater. Perhaps the most famous ultralight to come out of Canada is the Beaver. With a reported 2,200 units flying since the early 1980s, this is one of the most successful light aircraft ever. However, due to missteps by companies that previously manufactured the brand, this popular ultralight was nearly lost from the ultralight aviation landscape. Were it not for the Aircraft Sales and Parts (ASAP) company and the Holomis family, you might not have this choice today. Originally the Beaver RX-550 came from a company called Spectrum Aircraft. A company reorganization left the ultralight in the hands of a company named Beaver RX Enterprises. Both these business names disappeared and today the ASAP brand carries the Beaver into the sky. In 1993, a couple years after our last report on the Beaver1, the old company closed its doors and effectively stranded thousands of Beaver ultralight owners and all the dealerships that sold them. A decade ago, the popular Canadian ultralights the Beaver and Chinook appear to be in danger of disappearing. Fortunately that's no longer the case thanks to the Holomis family and their purchase of these two classic Canadian designs. Even better, during the last 10 years the company has made improvements to the design while leaving alone their basic shape and appeal. A "Plus" added to the name is the simple indicator that means many small improvements. With a thriving family machine shop operation providing a foundation, the company makes good use of its engineering and fabrication capabilities to support the airplane business. This synergy is appreciated by anyone buying the aircraft in the last decade. It gives Aircraft Sales and Parts (ASAP) staying power that assures customes. While both the ultralights have a substantial following is (the Beaver has sold in the thousands by itself), the Chinook has become my favorite of the two thanks to its agile handling and spectacular visibility. Both are tandem aircraft and both will accommodate large occupants, but the Chinook is the most spacious. 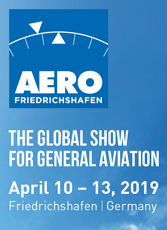 We can also expect to see some new engines on these aircraft thanks to the company's involvement in the Zanzottera powerplant which has won favor with many designers thanks to its relatively low weight. In addition ASAP also sells the four stroke HKS as well as a line of Rotax engines. With the Chinook airframe priced at only $8,500 our neighbors to the north can help you get in the sky for a modest amount of money. A decade ago, the popular Canadian ultralights the Beaver and Chinook appear to be in danger of disappearing. Fortunately that’s no longer the case thanks to the Holomis family and their purchase of these two classic Canadian designs. Even better, during the last 10 years the company has made improvements to the design while leaving alone their basic shape and appeal. A “Plus” added to the name is the simple indicator that means many small improvements. 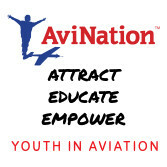 With a thriving family machine shop operation providing a foundation, the company makes good use of its engineering and fabrication capabilities to support the airplane business. This synergy is appreciated by anyone buying the aircraft in the last decade. It gives Aircraft Sales and Parts (ASAP) staying power that assures customes. While both the ultralights have a substantial following is (the Beaver has sold in the thousands by itself), the Chinook has become my favorite of the two thanks to its agile handling and spectacular visibility. Long one of Canada's best loved ultralights, the Chinook - formerly designed and built by Birdman - is another of the country's designs saved by the Holomis family when they went acquiring ultralight aircraft companies to complement their successful machining enterprise in British Columbia. A simple design with lines unlike any other ultralight I've flown, the aircraft has pleasing characteristics that most pilot will enjoy. Larger aviators especially will like the enormous cabin of the Chinook. And like other Canadian designs, the Chinook's sturdy triangulated construction allows it to operate as a bush plane from almost any open space. Consequently, ASAP likes to show Chinooks with tundra tires or floats, both of which add to the rugged good looks. The wide open cabin is surrounded by well supported clear Lexan giving you a panoramic view from either seat. Tandem aircraft often cramp the aft seat and don't give it the best visibility, but Chinook sets a new standard. Your passenger or student will also enjoy plenty of room; a set of dual controls means the Chinook can easily be used for training flight. After the ASAP company took over production they made numerous refinements that earn the name Chinook Plus 2, and those who have seen the older, simpler Chinooks need to reexamine the current model. Flight characteristics of the old Chinook were largely preserved as the machine made the transition from simple single seater to the feature laden two seaters of today. A versatile design, Chinook endures for many good reasons. Long one of Canada’s best loved ultralights, the Chinook – formerly designed and built by Birdman – is another of the country’s designs saved by the Holomis family when they went acquiring ultralight aircraft companies to complement their successful machining enterprise in British Columbia. A simple design with lines unlike any other ultralight I’ve flown, the aircraft has pleasing characteristics that most pilot will enjoy. Larger aviators especially will like the enormous cabin of the Chinook. And like other Canadian designs, the Chinook’s sturdy triangulated construction allows it to operate as a bush plane from almost any open space. Consequently, ASAP likes to show Chinooks with tundra tires or floats, both of which add to the rugged good looks. The wide open cabin is surrounded by well supported clear Lexan giving you a panoramic view from either seat. Tandem aircraft often cramp the aft seat and don’t give it the best visibility, but Chinook sets a new standard. WIDE BODY - One characteristic you immediately notice about the Chinook, compared to almost any other ultralight, is the very wide cockpit. This view shows you how it comes to be. FLYING GREENHOUSE - You're a pilot under glass in the fully-enclosed Chinook. That's good in colder climates (though hot in southern areas) and gives both occupants excellent visibility. TOUGH GEAR - Built in Canada for Canadian demands, the Chinook has well-triangulated gear with bungee suspension and beefy tires plus brakes. SIMPLE LATCH - Keeping it simple and light pays a benefit. Chinook is a fairly light 2-seater - 380 pounds empty with a Rotax 503; 430 pounds with the HKS. A bungee and wide rivet accomplished the job yet kept the doors securely closed. FINISHED INTERIOR - Accented with a deep red paint, the black upholstery made for a refined interior. Note how much cabin exists alongside the seat; wide pilots will be comfortable. IN COMMAND - The front seat of the '98 Chinook offered all the essentials to a lucky pilot like me. I'd never flown with the MaxPak instrument panel before, but it seemed an excellent choice for this HKS-powered Canadian ultralight. CANADIAN TOUGH - Lots of Canadian flying is "bush flying," so it's best if a Canadian manufacturer can meet the challenge. With sturdy gear and fat tires, it's no problem for the Chinook. SEE FOREVER - We can see him and ASAP president Brent Holomis can see everything from inside. In Florida's sunshine, he'd soon need some vents as it gets warm. Only a single vent in the other side offers relief. TOP GUN - Brent Holomis is the president of ASAP. He looks happy to be in warm Florida, a long way from his Canadian home. Brent heads up the family business that builds Chinooks and Beavers. HPOWERED UP - ASAP did a neat job of nestling the new HKS 700E engine behind the rear seat bulkhead. Naturally - since Brent Holomis owns the company - it is fitted with a GSC prop. The engine was a joy to use. What started as Canadian Ultralight Manufacturing has now become ASAP and Brent Holomis is now president again. In the early days of the Vernon, British Columbia company, Brent became occupied with GSC props and focused on building that enterprise while brother Curt dealt with aircraft sales. Now they're both involved in aircraft manufacturing. Expanding Enterprise Over the years, ASAP's business has expanded and the western Canada company now sells the Chinook Plus 2 and the Beaver RX-550 Plus, tagging both models with the "plus" suffix that indicates the ASAP team improved and refined the aircraft after their acquisition of the models. I find it impressive that two of Canada's most popular ultralights are now built by ASAP, a company that rescued these designs after the original companies failed. Birdman Enterprises designed and built the Chinook, and Spectrum Aircraft built the Beaver RX-550 (though the latter company went through a few name/ownership changes before succumbing completely). With some 700 Chinooks flying and at least 2,000 Beavers delivered, Canadians in particular and ultralight/microlight enthusiasts everywhere should rejoice that ASAP and the Holomis family has chosen to support these two design success stories. Today, Brent and crew have logged 10 years as producer of the Chinook. I was pleased to fly the machine, and to update your understanding and awareness of this nice-flying Canadian ultralight. Unique Features Though its wide basepan gives the Chinook a rather tubby look from some angles, the design slips through the air quite well. It recorded one of the lowest idle-thrust sink rates of any 2-seat ultralight I've flown. And the Chinook has light and powerful ailerons that make it a joy to fly. If you walk around the front of the design and sight down the nose toward the tail, you can see how the fairing got so wide when the design became fully-enclosed years ago. The landing gear struts extend up to the leading edge at the wing's center. Since the enclosure goes around these struts, the cockpit is made very broad. Putting your bottom in the seat means lifting yourself over 6 or so inches of cockpit to the side of the seat. However, once you swing into position, you'll love the roominess. Even with a rear seat passenger's feet on rudder pedals right alongside your seat, space is plentiful. If you're a wide pilot, this machine might be your dream. In the cockpit are the following controls: Center-mounted joystick with hydraulic brake lever on the front side. To your left and behind you somewhat you'll find a single throttle with two handles, one extended forward and one aft. To me, the throttle idea seems taking simplicity too far. Dual throttle positions don't add that much weight or complexity but might be much more convenient. In the Chinook system, both pilots must reach somewhat awkwardly. I think such an important control needs to be more accessible. As I flew from the front, I had to feel around in back and to the side - somewhat like reaching for my wallet - to find the throttle. Maintaining a hand on the throttle, as is standard practice for most pilots, means holding your arm somewhat awkwardly behind you. On the right side of the Chinook cabin is a control panel. It held the ignition switches, master switch, starter, primer and optional prop control lever. In front of the front-seat pilot, ASAP had installed the MaxPak instrument deck with its full complement of gauges. The electronic panel switches from cylinder to cylinder (on CHT or EGT) and offers other control by switch. It was the easiest-to-read instrument deck I've ever used. Below the MaxPak, ASAP had installed a few more temperature and pressure gauges to monitor the new 60-hp HKS 700E 4-cycle engine. As you turn to secure the door with ASAP's little bungee cord fastener - which worked quite effectively - you can't help but notice the massive amount of clear area surrounding you. The visibility from the front seat of the Chinook is simply huge, even before you leave the ground. Noting how slick and clear their windscreen and enclosure appeared, Brent Holomis confided, "Lemon Pledge® is the secret." Certainly, it was easy on the eye. Purring Along The electric-start HKS fired exactly as you'd expect a 4-stroke to do. It caught quickly and purred in readiness for taxi. 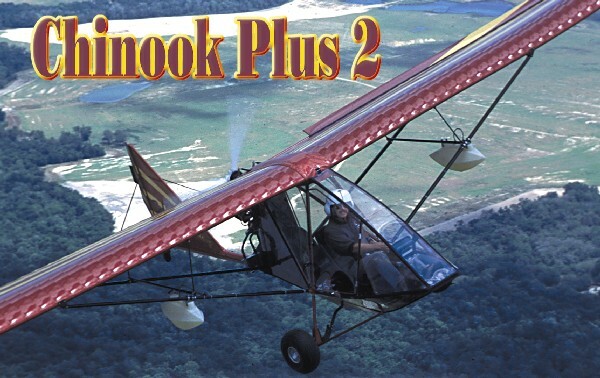 Having flown several HKS-powered ultralights, the sound was no longer unusual to me, but it remained unique. A lot has been said and written about the Harley-Davidson motorcycle's sound, that "potato, potato" noise that so defines the big bike's engine. In fact, to confront the invasion of sound-alike Japanese bikes, Harley is trying to copyright the distinctive noise! If it means something to Harley today, perhaps it will one day mean something to HPower (the U.S. importer) and HKS, because the newest 4-stroke aircraft engine certainly has its own sound. Amid a setting of 2-stroke-powered ultralights, the 700E is unmistakable, even compared to other 4-stroke engines. I'd been told (in all HKS installations) to watch for oil temperatures higher than 200° - it never came close, typically running under 180° in the Chinook - and for adequate oil pressure. The HKS seemed hardly to be working to fly me and the Chinook around. I imagine it would do nearly as well even loaded with two large pilots. ASAP builders did a great job of fitting the HKS, nestled as it is behind the rear cabin bulkhead. Lowering the engine below the upper wing trailing edge assures the upper surface stays uncluttered and efficient. It also gave the Chinook smooth lines visually. As with other new installers of the HKS, Holomis had to experiment with the right position for the oil cooler radiator. It's a little thing, but it needs adequate airflow. The smooth exterior of the Chinook enclosure forced ASAP to move the cooler around, seeking the right spot. Brent Holomis expressed a lot of satisfaction with the HKS engine and spoke highly of his dealings with HPower personnel. Also like other new installers, he sees a market for HKS-powered Chinooks among pilots who prefer 4-stroke engines. It certainly seems appropriate for many 2-seat ultralight designs at its rated 60 horsepower. Finally, Holomis mentioned the smooth torque power through a wide operating range and the very low fuel usage. Some users report as low as 2.0 gallons per hour, though 3.0 or so is more common. Regardless, this is less than a Rotax 503 doing the same work, and far less than a Rotax 582. Off We Go, Easily Taxiing out on a breezy day, I appreciated the low and wide stance of the Chinook. You hardly feel like you're operating a taildragger because the deck angle (fore to aft slope of the centerline of the fuselage) is modest. Most pilots will be happy to hear you can practically handle the Chinook as though it were a tri-gear design. Takeoff and landing operations in the Chinook were extraordinarily easy. Every variation of speed, approach angles or descent technique I attempted made me look good. One reason this is so relates to the huge vision you have from the front seat. I never flew from the rear, but I'm sure it would be much compromised compared to the nose seat. Another reason for the easy landings is the good roll control the Chinook shows. And it doesn't hurt that the large enclosure provides for excellent slip potential. For this reason, flaps aren't necessary to someone with a good slip technique. Climb was strong thanks to the high-torque HKS engine. It isn't so much the rate of the climb with the 4-stroke engine; it's the way the 700E bears the load of a high-angled prop. Most 2-strokes express a sound of laboring when you nose-up steeply and climb for a sustained time. The HKS kept pushing us aloft without the slightest protest. One thing you are always sure about in the Chinook is the fuel quantity. I have heard a few detractors say that airplanes shouldn't carry their fuel dangling from a wing strut. Fuel lines also must route a good distance and do so through the cabin (via a fuel control valve). However, several hundred Chinooks have been operating this way for years without publicized problems. With the Chinook fuel tanks kept well away from the pilot, an incident may be less of a hazard thanks to this design. No matter what else, anyone has to agree that seeing your remaining fuel couldn't get much easier. The Chinook's fuel cells are shapely to reduce drag. Not much other space exists in the fuselage to put fuel (assuming that's where you believe it should be). And despite the cockpit's broad space, the Chinook provides no cargo room - unless that's how you use the back seat. While I liked flying the Chinook a great deal, the rear seat didn't interest me much. The rear occupant's head is mere inches away from the engine. While it appears stoutly braced and I know of no problems related to this close engine, I should think noise and vibration might be offensive. Entry requires twisting around the strut placement. However, I didn't fly in the rear and I make no condemnation of the design. Since most pilots probably use the rear seat for stuff they want to bring aloft, the whole point may often be moot. What a Load Star A 430-pound Chinook (empty, with the HKS engine) can carry a maximum of 950 pounds leaving 520 pounds of useful load. Subtract 60 pounds for fuel (10 gallons) and you are left with 460 pounds of payload, or two 230-pound occupants. That's a lot of beef, and flown solo, your "cargo" could be quite significant. ASAP's brochure depicts a Chinook with a 100-pound propane tank strapped in the aft seat - a trapper flies the load to his cabin in the bush. The Chinook can run to about 90 mph with the HKS engine on it. High cruise appeared to be in the range of 75 to 80 mph and an economical cruise brought her down to about 60 to 65. At the latter power setting and flown solo with a little baggage and full fuel, my guess is the HKS might burn only a couple gallons an hour. This would yield an endurance of close to 5 hours with standard wing strut tanks. Even flown at gross weight, you'll probably still get more than 3 hours aloft. Stalls came in at 35 to 40 mph, usually hovering toward the low end of that range as I flew it. In all cases, stalls were mild and uneventful. With full power, the Chinook simply keeps climbing even with full backstick. The nose wanders a bit in this position, but not frighteningly so. Power-off stalls were very mild, as well, breaking but only subtly. I actually prefer a cleaner break so I know it happened, but I don't see pilots getting into any trouble with the Chinook. I can guess that stalls at gross might climb close to 40 mph, but the characteristics should stay similar. One surprising performance fact is the low sink rate of the Chinook. This wing design has impressed me before and a descent rate near 350 feet per minute beats virtually every other ultralight 2-seater I've flown. Glide didn't seem quite as strong, and yet the two parameters are somewhat linked. I can't explain, but feel confident the sink rate is superior. This is good to know if you must ever glide to a landing. Two lone complaints in the safety arena are: (1) no standard shoulder belts (they're optional) and (2) no parachute was fitted (also optional). I'd sure like it better when flying new ultralights if manufacturers would install them. Should You Purchase? The Holomis brothers have an easy-going, low-key way about them. They've obviously shown determination by remaining in the ultralight business for a decade. And they demonstrated good strategy in capturing two of Canada's top ultralight designs to build in their high-tech plant. Not bad for a couple of young Canadian businessmen and their families. The Holomis family first developed a following in Canada by supplying parts for the Chinook and Beaver. Dealers lost their manufacturer support when previous companies failed, and were anxious for someone to help. Since they could make all the parts in-house using versatile CNC milling equipment, the family's effort lead to supplying whole aircraft as well as parts for more than 3,000 Chinook and Beaver owners. As many companies as I've seen come and go in the 20 years of ultralight flying, I'm pleased to see an enterprise like ASAP on the job. Now with a new U.S. distributor, ASAP can make a more determined push into the big American marketplace. 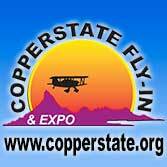 Joplin Light Aircraft in Missouri will represent the Canadians under the direction of John and Amy Lukey. Either of the Canadian ultralights the Lukeys have to sell you - the Chinook Plus 2 or the Beaver RX-550 Plus - could satisfy most pilots. However, for those with a taste for more refined handling, the Chinook has a clear edge. And its superwide fully-enclosed cabin will keep you comfortable in cooler weather and on longer flights. Add the HKS engine to the Chinook airframe and you can have an impressive ultralight kit for $13,500. A price like that isn't uncommon for any 2-seater with engine, but we're talking a 4-stroke reputation here. The Chinook HKS is actually a good value in a fun flying machine. Standard Features Dual controls (shared left-hand throttle), steerable tailwheel, fully-enclosed cabin, removable doors, instrument panel, adjustable mechanical flaperons, dual fuel tanks (10-gallon U.S. capacity), seat belts, seat covers. 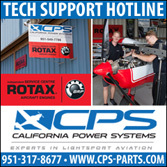 Options Rotax 503 dual carb or 582, Hirth 2703, 2704 or 2706 or 2si 460F-45, 460L-50 or 690L-70 engine, standard or heavy-duty reduction drives, electric start, silencer kit, hydraulic disc brakes, electric flaperons, cabin heat, ballistic parachute, 5-point shoulder harnesses, floats, skis, instruments, 2- or 3-blade wood or composite props, custom interior. 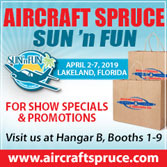 Construction Aluminum tubing airframe, bungee suspension, Ceconite® fabric covering; bolt-together kit - parts precut and predrilled, fabric precut. Made in Canada. Pros - Now 10 years in production by ASAP, the Chinook is a reliable aircraft to buy and fly. More than 700 reportedly flying with a good record. Simple lines thanks to the original developer, yet with unusually generous interior room. Flight test model was nicely finished, outside and inside. Nice execution of HKS installation; nestles away cleanly. Cons - Head-on the Chinook has a certain bathtub look to it (though it's shape works well aloft). Some don't care for wing strut fuel tanks so far from the engine (though this may have a safety aspect to it). Tandem seating isn't for everyone. Pros - At an empty weight of 430 pounds (with the HKS engine), you can add numerous systems and stay within the training exemption definitions. Beautifully instrumented front and rear. Fuel quantity couldn't be much easier to check; glance out either side. Many system accessories offered by factory. Cons - Brakes were rather weak on this plane. Flaperons were not installed on this particular Chinook. Great instrument deck requires more familiarity to fully use; a quick checkout isn't enough. No trim. Pros - Rear seat had good instrumentation; would make a good trainer vehicle so equipped. Seats were quite comfortable for longer flights. Wide bodied pilots should love the Chinook. Even with doors, the interior is very large. Interior upholstery and floor pans make the inside more polished. Cons - I didn't care for the combo throttle much. The front pilot must reach slightly behind your left side while a rear seat instructor would have to lean forward. Rear seat entry is much more difficult than the front seat. Aft occupant is very near engine. Pros - Solid and comfortable, built "Canadian tough," the Chinook taxies with authority. Wide gear geometry and wide tires helped the effect further. Good turn radius even while taxiing slow in stronger winds. Bungee suspension worked well to soften the bumps. Adequate ground clearance and a protected prop arc. Cons - Rear seat visibility is poor; an instructor will have to plan ahead to check traffic before takeoff. No brake lever at rear seat (not uncommon on trainers, though). No differential braking at either seat. Pros - This is one of the easiest-to-handle taildraggers you can fly. A nearly flat deck angle helps as does a low posture. 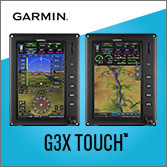 Terrific front-seat visibility during any takeoff or landing operation. Approaches can be made quite slowly (down into the 40s). Cons - Chinook didn't jump off the ground as quickly as some trainers. Rear-seat visibility is quite compromised on takeoffs and landings; an instructor will have to stay aware of traffic and judge landing speeds and attitudes well (though, of course, such judgments are expected of instructors). Pros - Roll response and roll rate were both quite brisk. Roll rate was not as strong as roll-in/out power, but authority proved good even in breezy crosswinds. Tail has loads of power, too, but forces are a little higher. Cable connections to tail surfaces gave good feedback. Cons - Coordination takes a few minutes to learn because the ailerons feel somewhat lighter (though perhaps a little less potent) than the rudder. Control adjustments may account for these observations. Pros - The Chinook shows strong sink rate performance, especially for a design that appears to (though may not) have a larger frontal area. Purred along beautifully with its HKS 4-stroke engine. Speeds ran about 80 mph in a medium-high cruise setting. Also flew well at only 45 to 50 mph. Cons - Carrying the extra weight and complexity of a 4-stroke engine means some performance is diverted to this purpose. Climb rate also didn't seem up to the factory brochure figures (though I'm comparing the 60-hp HKS to a 50-hp Rotax 503 and a 65-hp 582). Pros - Stalls were quite straightforward in the Chinook (I only flew solo). Often one wing would fall, and not the same one, but the fall was slow and modest. Unable to see a full-power stall break. Accelerated stalls always fell to the outside, which is preferred. Solid aircraft in breezier conditions. Cons - Without trim, and with the nose slightly heavy, I could not make longitudinal stability checks. No standard shoulder belts; lap belts only are usually considered insufficient in case of violent upset. Pros - ASAP offers a good value, I think, at $7,250 for the basic airframe. Easy flying characteristics endear the Chinook to either training, cross-country flights or bush flying. Present company has outlasted the original design company and provides more certainty with which to do business. Company makes most parts in topnotch in-house facility. Cons - The Chinook has not changed much over the last decade; if you're looking for something new and dashing, this may not be it. No extensive U.S. dealer network. What started as Canadian Ultralight Manufacturing has now become ASAP and Brent Holomis is now president again. In the early days of the Vernon, British Columbia company, Brent became occupied with GSC props and focused on building that enterprise while brother Curt dealt with aircraft sales. Now they’re both involved in aircraft manufacturing. Expanding Enterprise Over the years, ASAP’s business has expanded and the western Canada company now sells the Chinook Plus 2 and the Beaver RX-550 Plus, tagging both models with the “plus” suffix that indicates the ASAP team improved and refined the aircraft after their acquisition of the models. I find it impressive that two of Canada’s most popular ultralights are now built by ASAP, a company that rescued these designs after the original companies failed. Birdman Enterprises designed and built the Chinook, and Spectrum Aircraft built the Beaver RX-550 (though the latter company went through a few name/ownership changes before succumbing completely).